Charming old Zinc Flour Bin English circa 1940. 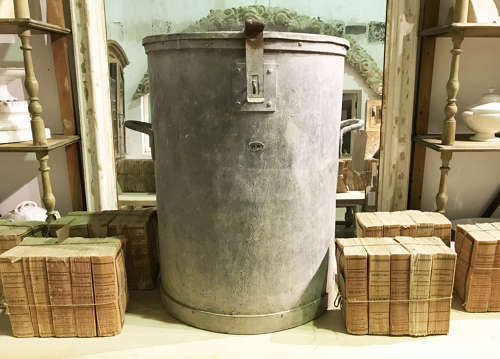 These old Bakers` Bins are rare to find nowadays. In good condition - with small oval brass plaque with makers name BIRD STEVENS & CO.
Could make an unusual side table, bedside table or useful in the garden for storage? ?